As with any social network you want to be top of mind with your target audience. LinkedIn is no exception and yet many people don’t do it. Engaging LinkedIn connections will drive your LinkedIn network to greater use. As a LinkedIn trainer I often see people with many connections they never engage with. Remember, LinkedIn is not about collecting names, it’s a platform where your goal should be to find leads and accelerate the conversation to ultimately connect with the person via phone or in person. Create your persoanl LinkedIn invitation to begin with! Always tell your prospective connection why you want them to join your network. People are more likely to respond to you quicker and in a more positive way if you tell them why you are sending the invitation. Just think of it this way, if the majority of people send the default invitation (which most do) it feels a little like spam in your email inbox because now you have many invitations that all say the same thing. Want to stand out? It is simple when you write something more personal, find something to connect you to the person you are inviting. Most sales are lost because people never follow-up. This is the same idea when building a network of trusted colleagues or potential customers. You want to stay connected, give value to them by sharing articles or tips THEY will find interesting. When you do this you build trust and relationship so when you are ready to ask for an appointment or want to take the prospecting to the next level you are not going in blind. This means more than clicking the “Like” button under the status update, this means reading the article they posted and actually making a comment about it. This engagement will help you stay top of mind and show you are paying attention to what that person posts. Again, if you do this one action it will dramatically change your competitive advantage. Taking the time to scan your home feed everyday and looking for opportunities to engage with people is a worthwhile action. To be even more hyper focused, look for those people you are trying to get in front of or stay top of mind with. If you don’t see a post, you can go to their profile and from the blue button next to their picture click the “View recent posts” and see if they have engaged in any content that as theirs of if they commented on someone else’s post. Again, it is a chance for you to jump in and add your comment. Being engaged is being interested in what your network is talking about. Look for the gold because it is there. But it does requires consistently showing up on your part. It has also been reported that LinkedIn rewards those who are engaged by showing your content more often in the newsfeed – so that alone is a result of your effort. Don’t be that person who lurks and never comments. If you want to show your expertise the easiest way to do that is to join in the group discussions. If you don’t know how to start a discussion, than pay attention to what others post assuming people in your groups are posting good discussions rather than self promotional posts. Effective in October 2015 group rules had changed, but that doesn’t mean there isn’t opportunity. LinkedIn was making an effort to stop the spam in groups and make it more focused on driving value to the members via discussions. So your strategy should you decide to accept the task is to start great discussions – show your leadership and then add comments to others discussions. If you find a particular group is inactive and people are just not engaging when you do start a discussion you can get out of the group and seek out something better. They are out there! Here’s an engagement tip – ask respected colleagues if they have favorite groups. 5.) Thank people for their endorsement. We all put high value on recommendations, whether it is for a favorite restaurant or where to buy your next car. The value in recommendations has grown with Yelp, Google Reviews, Facebook, Amazon Reviews and more. We all want to know that the decision we make is backed up by others who are satisfied customers. How we buy has changed and how we build trust so we are the ultimate choice when someone is ready to buy is our goal. If you are not familiar wth the term “Social Selling” I encourage you to read my blog post LinkedIn Social Selling-Create Better Relationships to drive better results. You will gain a better understand on how business has changed and how recommendations play a role in this new way of doing business. Recommendations play an important role in first impressions, how people view us and if we are credible and trustworthy. By making a unsolicited recommendation for someone who you have experienced the products or services that sell is a great way to engage. Don’t recommend with the expectation you will receive one in return, rather provide a recommendation because you truly want to acknowledge someones great work. Keep your recommendations on your profile updated, that means gain new one every year. 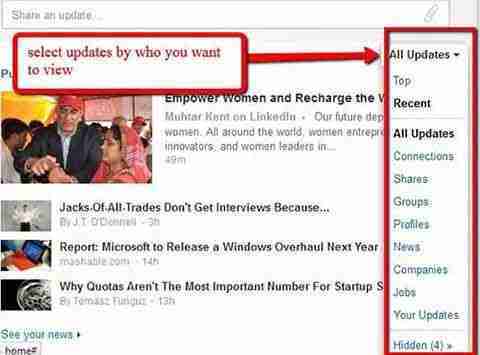 That keeps your LinkedIn profile current and active. 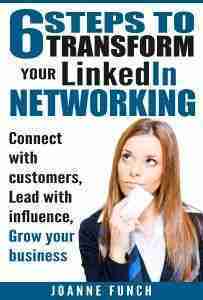 Your LinkedIn network allows for businesses to build dynamic profiles. I can help you better discover important information conducting business searches. Your professional network on LinkedIn is much more than just the people you know, it’s also about the companies your LinkedIn network offers and how you’re connected to them. We can help you further engage key relationships within your LinkedIn network for lead generation. Thanks for the simple reminders. I’ve “met” many new people while keeping in contact with colleagues, clients and friends with LinkedIn. There’s always more that can be gained though and your practical tips are always welcome.